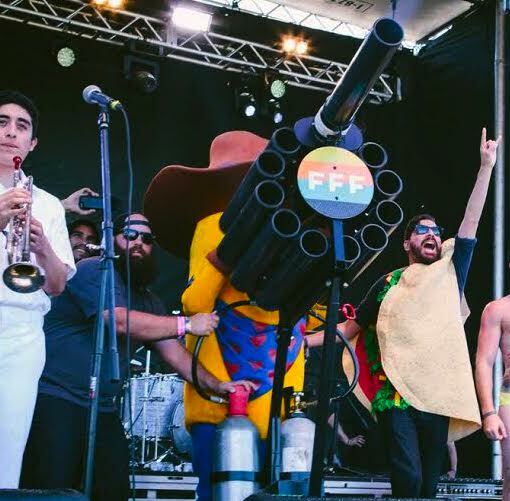 On Thursday, Oct. 8, Fun Fun Fun Fest is announcing the 2015 food, retail, and nonprofit vendors for this year’s festival at 12 p.m. at El Chilito (1623 E 7th St.) The famous Taco Cannon will be there to celebrate, and the first 100 people there from 12 – 1 p.m. will get a free taco from El Chilito. Fun Fun Fun Fest takes place November 6-8 at Auditorium Shores. To find out more you can visit the FFF Fest website or follow @funfunfunfest on Twitter, Facebook, and Instagram.